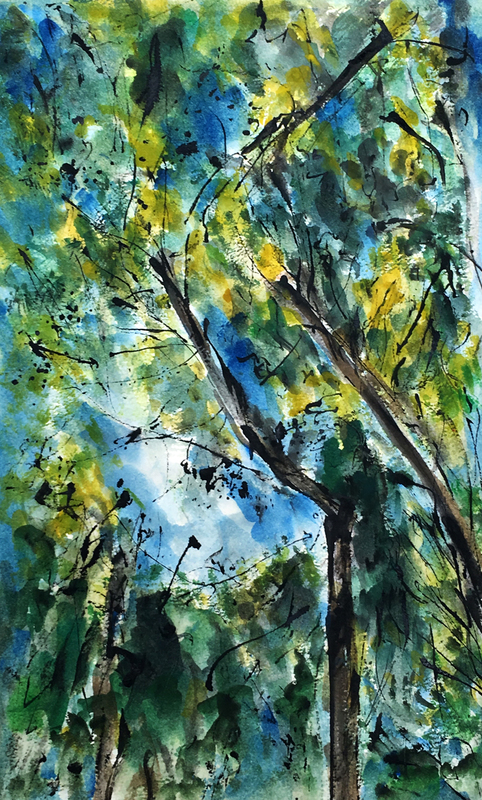 Following our Admiralty Trail walk two days ago two watercolours for Earth Day today. lovely Andrew! beautiful movement and colors, and mark making; and you retained enough of the Lighter tones to maintain cohesion!! fabulous! my pleasure. It was a great way to Convey The Mood! These are gorgeous, Andrew. I am drawn to blues and greens together and I love seeing your work environment.